I'm a Matcha fan. In fact, it's the first thing i drink every morning and then throughout the day. How do you find a drink that improves metabolism, boosts energy, kills cravings and provides many health benefits as well? Now you can grab good matcha on the go because the No. 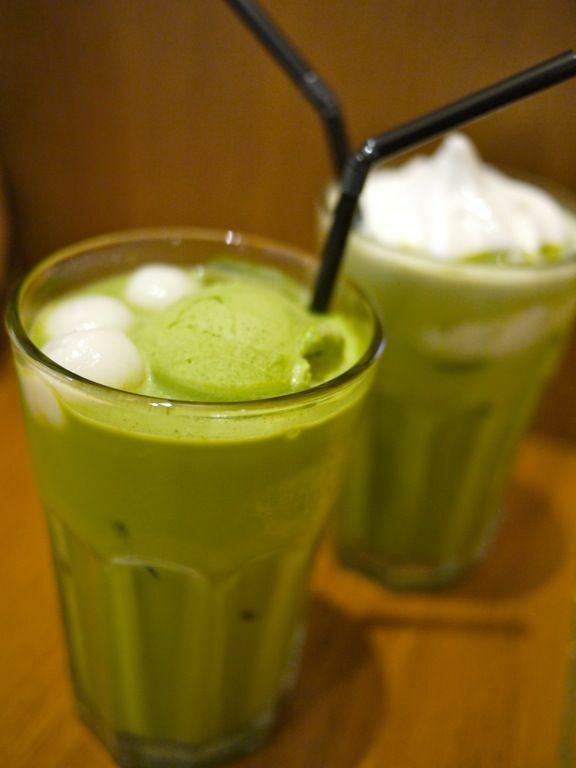 1 Japanese Cafe Nana's Green Tea has set up shop in Plaza Singapura to serve you all the delicious versions of the green drink. This is the first Nana’s Green Tea Café outlet outside of Japan. Lucky us! The zen decor is a modern twist on the traditional tea ceremony space. Even though the space is very open, the use of the suspended wooden frames as table setting cleverly creates a private environment for the diners. All green tea leaves served in the Café are imported from Kyoto only, which is the most famous production center of Matcha. I love the intense fragrance of the green tea latte and how the aroma lingers on the tongue after a long sip. Best still, top it up with Matcha ice cream for a happy buzz. For the fat conscious, there's the thin version (no milk and sugar). Or go for the Hoji-Cha variation, a roasted green tea that has a smoky, slightly caramelised flavor. A whole range of hot japanese tea is also available. 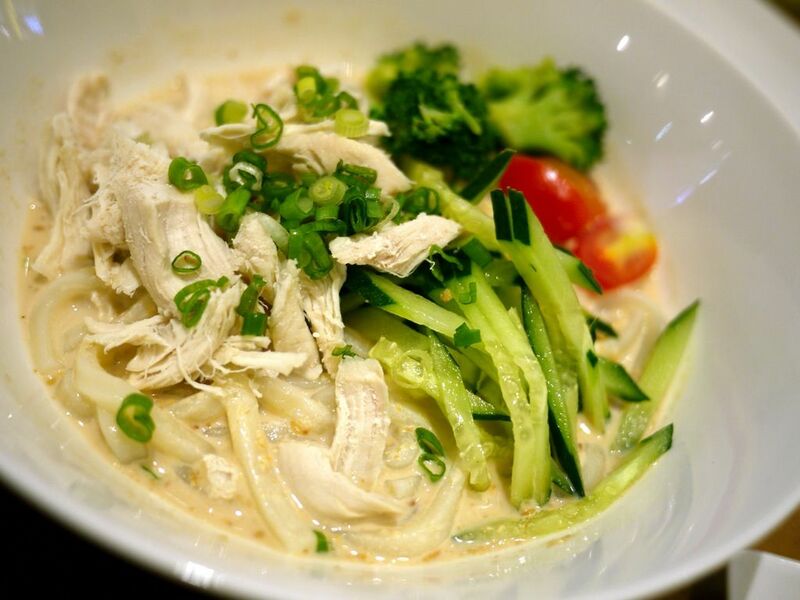 Other than the teas and desserts, Nana also provides a substantial food menu, the largest among all the Nana outlets. 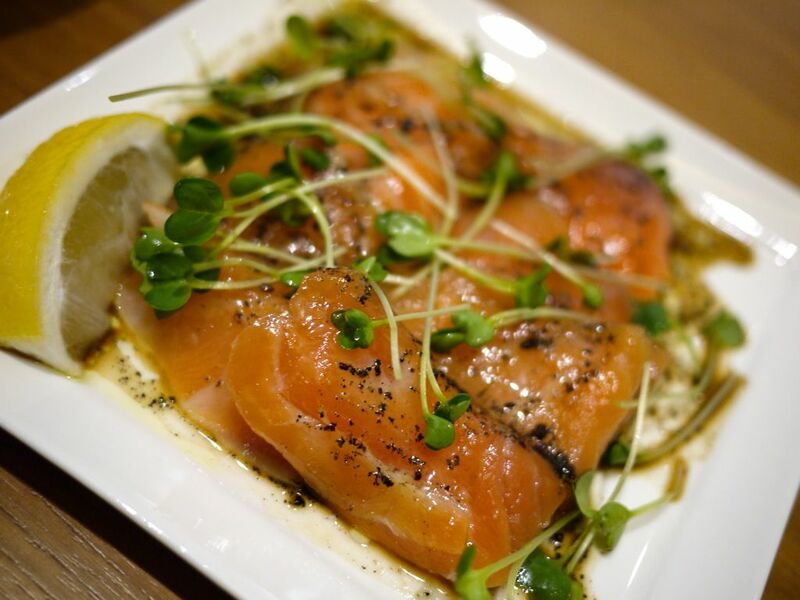 Salmon Carpaccio ($8.80) is one of my favs here. Just look at those thick buttery slabs drizzled with a light sesame and citrus dressing. It's really more sashimi than carpaccio. From the hot section, I enjoyed the Locomoko Don ($15.80). 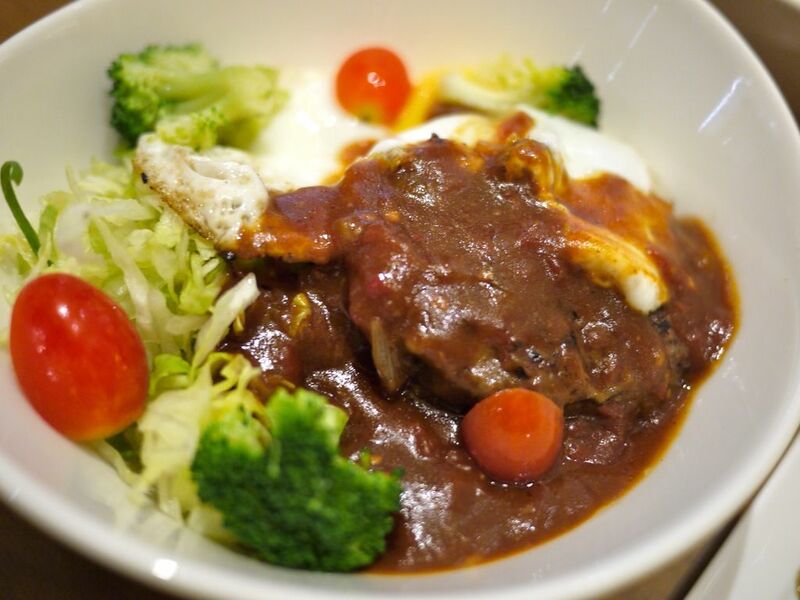 This is a juicy and tender Japanese Hamburg over Japanese rice. Absolutely hearty and well flavored. The tomato bbq sauce is a little on the sharp side but overall it is very appetizing. Something lighter would be the Mushi-Dori Goma Dare Udon ($13.80). I adore GOOD cold udon with the dipping sauce because it's refreshing and i always feel healthy eating it (even though it's pure carbs). 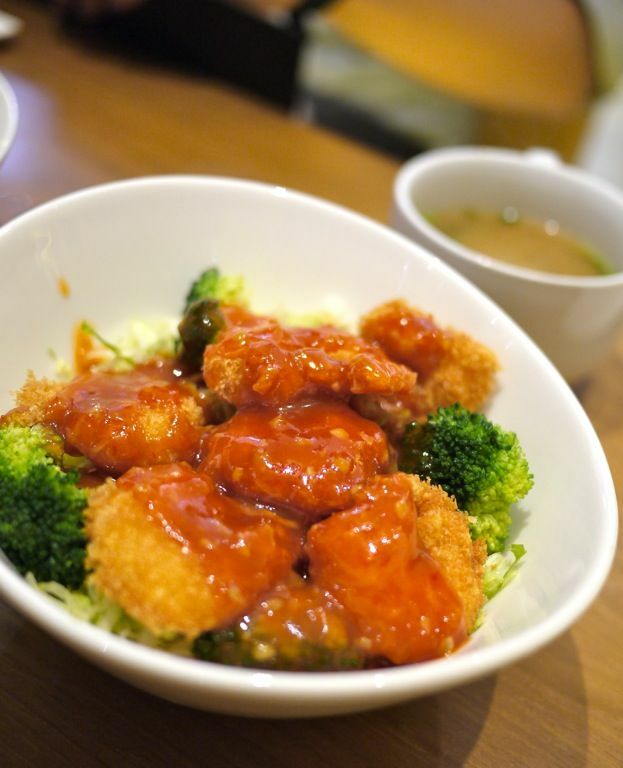 This version is akin to a Japanese salad, tossed with Nana's special sesame sauce and topped with steamed chicken fillet. A little bland but fragrant nonetheless. Something that is quite Singaporean is the Ebi Chili Don which tasted like ko lo yok prawns ($14.80). Give the sushi rolls a miss for now. 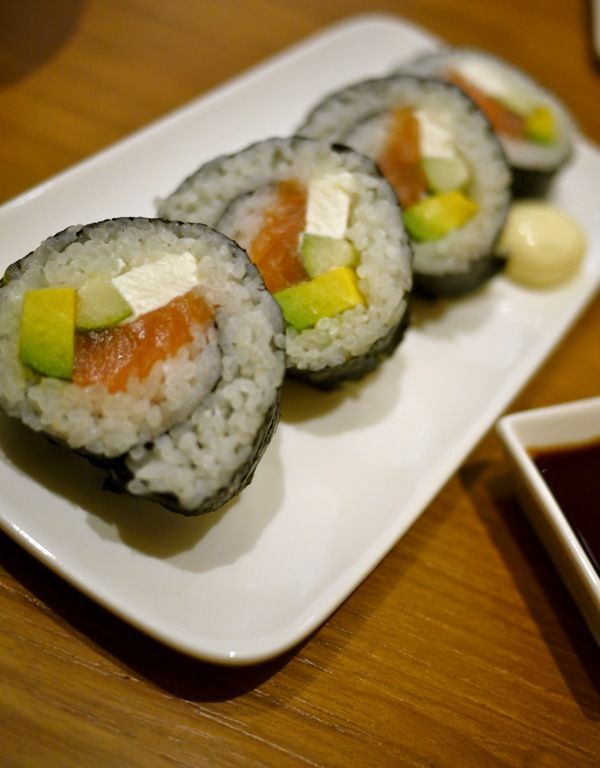 Interesting use of cream cheese in the Salmon and Avocado roll but they really need to perfect the recipe of the rice first. Save some room for the Matcha Shiratama Parfait ($11.80). Or have this as a meal replacement. 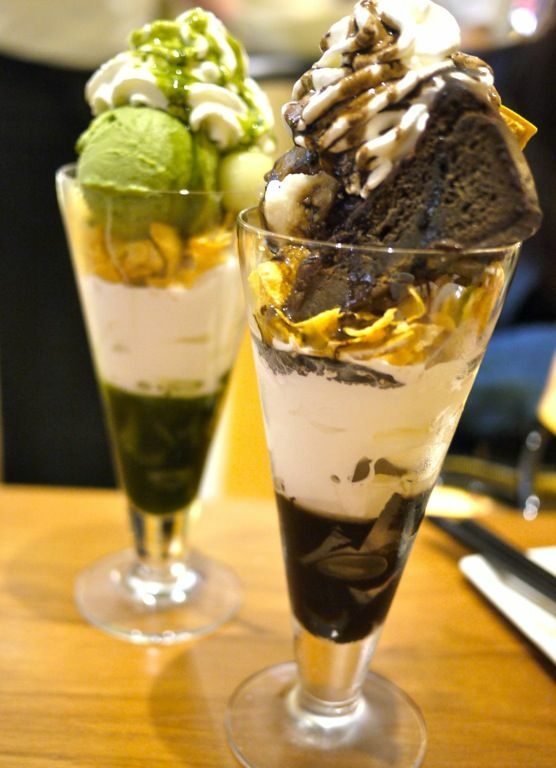 This Matcha Tower of Happiness has a layer of kanten jelly and matcha syrup at the bottom; soft serve ice cream, corn flakes in the middle, and garnished with red bean paste, matcha ice cream mochi, whipped cream and finally a drizzle of matcha syrup. Not a fan of the Hoji-cha version as the cake in the parfait was too dry and the taste bland. Nanaʼs Green Tea Café is now offering weekday lunch set (11am- 2.30pm) featuring any drink of your choice (below $8) and a main course of your choice for $13.90. Signature dishes like Salmon Don, Locomoko Don and Mushi-Dori Goma Dare Udon will also be available. As part of my Facebook Giveaway, I will be giving away 5 complimentary lunch set vouchers. 3. Share the post with your friends! I will be picking 5 lucky winners on the 31 Jan 10pm. Nice review! 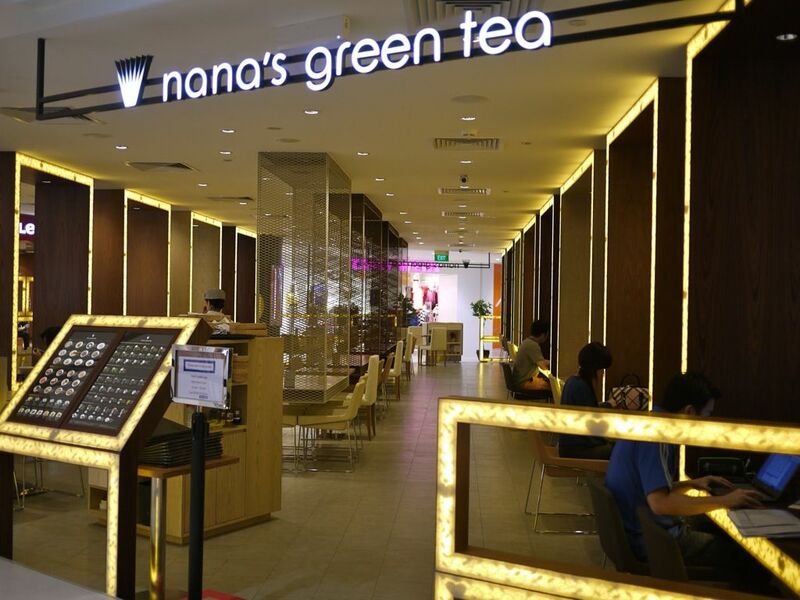 Anyway, the first Nana's Green Tea Cafe outlet in Singapore opened last year in JCube!